A short demo of a WIP game made in a little over two weeks from May 1 - May 17th 2016. We're still working on it; we're looking at late 2018/early 2019 for the full version! 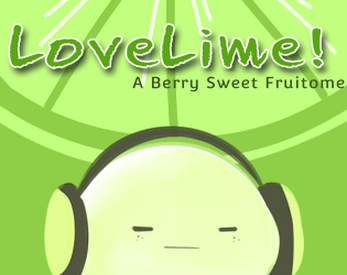 Love Lime! 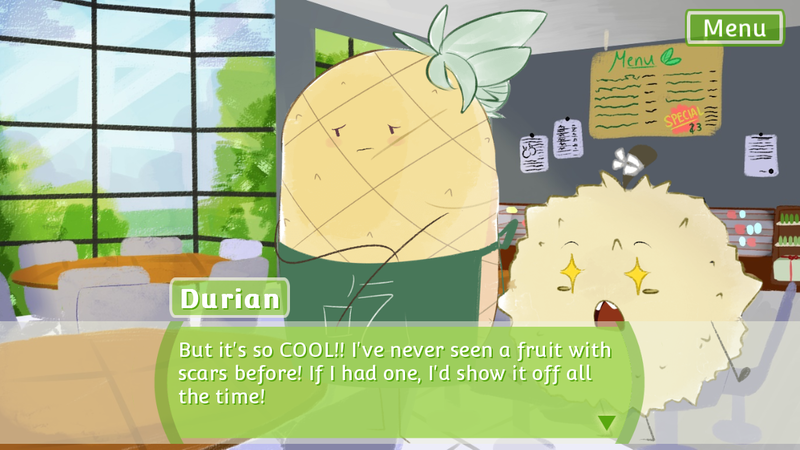 is a WIP otome-style visual novel in which you play as Lime, a human-turned-fruit who struggles to find a way to turn back into a human while attending a fruit school with their best friend, Durian. 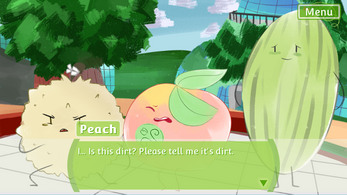 Along the way, Lime meets some eccentric but fun fruit students who they may or may not pursue romantically. - all of our hard work! Lime - The protagonist, who used to be human. They admit to having terrible taste in best friends. Very tired all the time and wishes they could make games like all the cool kids do. 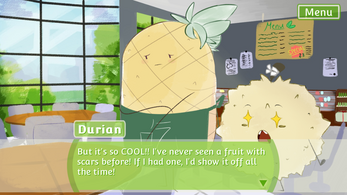 Durian - Lime's best friend since childhood. He's a little too excitable and tries really hard to act like a gangster. It's his fault he and Lime turned into fruit! Peach - A pretty boy who has learnt that making sweet eyes and buttering people up with compliments will get him places, and so far it's worked. 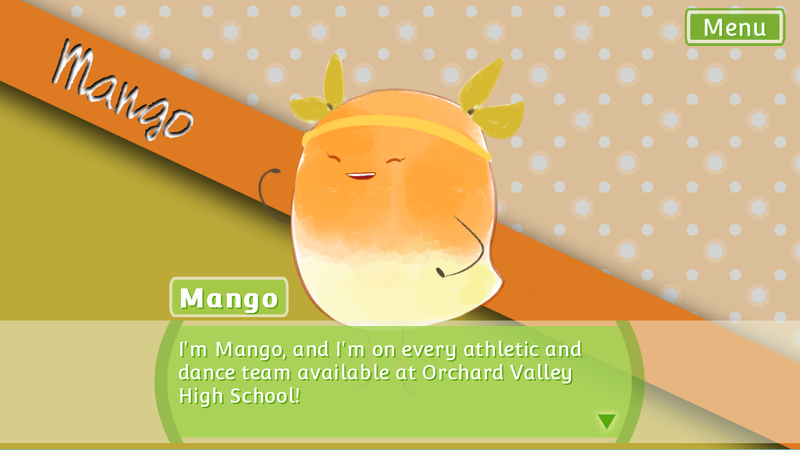 Mango - A sporty girl who loves to dance. She has terrible taste in fashion but will vehemently defend her choices anyway. You may become healthier just by being in her presence. Apple - Gentle and kind but very sickly, Apple is the younger cousin of Pineapple. He refuses to see a doctor about his health. Can your love save him? Watermelon - A shy first-year doing her best to stand out in the best ways possible. Despite her best intentions, she often brings trouble to those around her. Pineapple - A reformed gang leader who runs the cafeteria, and Apple's older cousin. Don't ask about the scars. This team will continue working on a full version of Love Lime! starting onSeptember 1 2016. PLEASE FEEL FREE TO SEND US FEEDBACK! We'd love to know what you enjoyed, what you didn't, and what you're most looking forward to! If you want to follow more progress on this project off itch.io, consider following us on twitter and/or Love Lime's tumblr!